Gov. Gavin Newsom on Tuesday called for scaling back California’s two largest public works projects — the bullet train and delta water tunnels. In his first State of the State address in Sacramento, Newsom said the $77 billion bullet train project approved by voters should be canceled after the segment from Merced to Bakersfield is completed. Newsom also called for only one of two massive tunnels to be built to connect the water systems in northern and southern California. 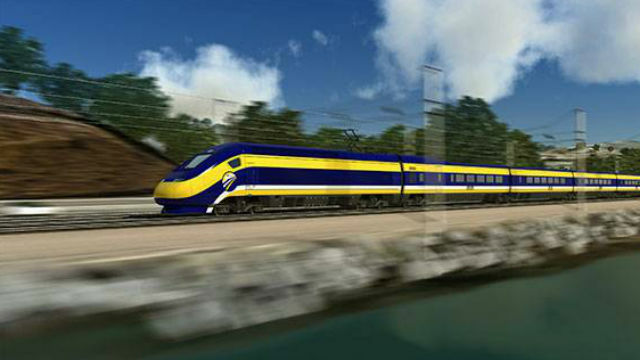 The bullet train, which was approved by Proposition 1A in 2008, would have connected San Francisco with Los Angeles and ultimately extended to San Diego. It is billions of dollars over budget and years behind schedule. The $17 billion California WaterFix project is designed to divert water from the Sacramento River as it enters the Sacramento-San Joaquin Delta and carry it through a pair of 35-mile tunnels to an existing state and federal pumping station in the southern part of the delta. The project is supported by the San Diego County Water Authority and the Metropolitan Water District, but opposed by environmentalists in Northern California who fear it will harm the delta wetlands. The two projects were championed by former Gov. Jerry Brown, and seen by many as a major part of his legacy. That caveat led to outrage from some critics, who said Newsom should pull the plug on the entire project.